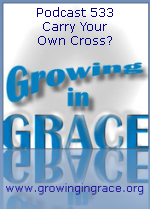 Growing in Grace Podcast: 533. Carry Your Own Cross? 533. Carry Your Own Cross? 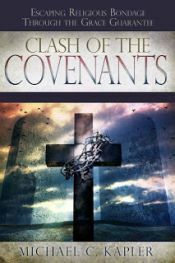 When we assume Jesus was always speaking to us personally, we may get the covenants confused and miss the point of the message being spoken to those who were under the law at that time. A true disciple becomes like their teacher, which would mean leaving all of their family and giving up all their possessions. It would also mean they would literally be required to carry their own cross as He would do. When Jesus said to count the cost, He was showing them they could not pay the price that would be necessary to complete the task at hand. Only Jesus could carry the one cross that would pay the price in full with His blood.